All Grain Belgian Dubbel homebrew recipe. 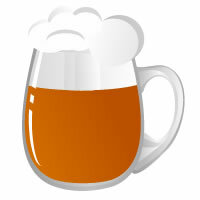 This homebrew recipe uses the following ingredients: Pilsner - DE, CaraAroma - DE, Belgian Amber Candi Sugar - BE, Styrian Goldings Hops, Saaz Hops, Magnum Hops, Fermentis Safbrew Abbaye Homebrew Yeast. This recipe was cloned from Firts Belgian Dubbel.